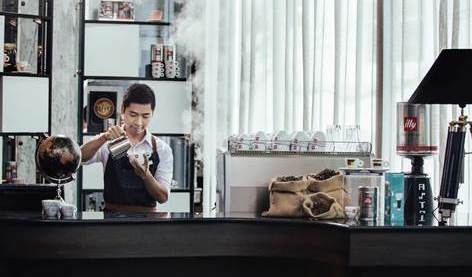 Competing against other Le Méridien Master Baristas, Son Nguyen became the first Master Barista in Thailand to bring home the top prize. Le Méridien Hotels & Resorts brought together its Master Baristas from Paris and New Delhi, to Barcelona and Bangok to stimulate a passion for Le Méridien’s coffee culture in a competition held at illy’s headquarters in Trieste, Italy. The participants spent two days exchanging global trends in coffee and training to learn the latest innovative recipes. The final challenge had each finalist serving 3 types of coffee – 2 espressos, 2 cappuccinos and 2 freestyle espresso-based beverages inspired by the location the Master Barista was travelling from – all in 15 minutes. The challenge was judged by illy’s coffee experts and Le Méridien’s Global Latte Artist Esther Maasdam and Global Master Barista, Franz Zauner. 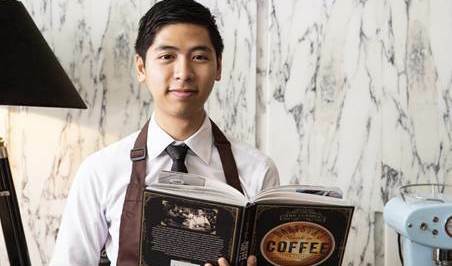 Son’s invented signature coffee called “Tom Kha Coffee” was inspired by Thailand’s famous cuisines.